You just had your car detailed & ceramic coated professionally. It looks clean, glossy and free from any paint defects. But how to maintain this perfect finish and make the coating last as long as possible in the next two years? What’s the difference in maintaining a coated car versus a non-coated car? In this post we will clarify these doubts and explain how we maintain customer’s ceramic coated car in our workshop. So you know what’s the best car detailing products to use and how to do it properly in your garage. In our previous post 6 misunderstandings about ceramic coatings, you’ve already learnt ceramic coating is not a bullet proof protection on top of your paint, unlike paint protection film, ceramic coating does not resistance to swirl marks, scratches or stone chips. So a coated paintwork is also vulnerable to scratches or improperly washing techniques. 1. How often should I wash my car? Although ceramic coating has self cleaning ability that makes car look cleaner for longer. It doesn’t eliminate the needs of regular maintenance wash. A normal drop of rain water contains a certain amount of dirt and minerals. When water evaporates on the paint surface, the minerals are left behind creating visible spots. If you don’t wash the car regularly those minerals will etch through coating and eventually down to the clear coating creating permanent damage. Generally you should wash your car weekly, or at least fortnightly. Especially after raining days. Thanks to the benefit of having your car ceramic coated, washing your car would be significantly easier and better results. 2. Which washing methods to use? If your car is not too dirty, just normal dust or fingerprints, you can safely use waterless wash if followed correct procedure. Use 5-6 clean and soft microfiber towels, such as Microfiber Madness CrazyPile, mist diluted CarPro ECH2o or P&S EcoDetail Epic Waterless Wash on both microfiber and the paint, fold the towel and glide through the surface with no pressure. Use fresh side every time you moved to a new section. If your car need a proper wash, we follow 2-3 buckets method. Although some professional detailers also promote “no bucket” method which might works for them, but we believe bucket washing is the safest and error free method for most people. Prepare 2-3 buckets with Grit Guard at the bottom, one wash bucket, one rinse bucket and depends on your setup you might want one wheel bucket as well. Always keep the wash bucket clean, rinse the dirty wash mitt in rinse bucket. Kranzle pressure washer has been recommended by professional detailers and enthusiasts around the world. We’ve worked hard to source the best quality MTM SGS35 spray guns, lance and MTM PF22 foam cannon to complete the solution. With 40 degree spray pattern and optimum water pressure this setup will give you best results and efficiency. 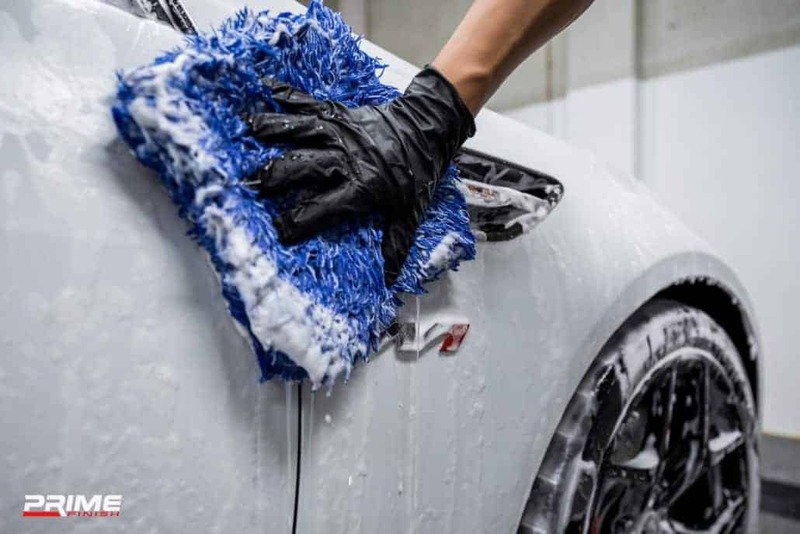 It’s important to notice you should wash the car from top to bottom, rinse the wash mitt regularly without contaminate it. Use high quality detailing products that are designed for your coating and follow the correct technique. Happy washing! 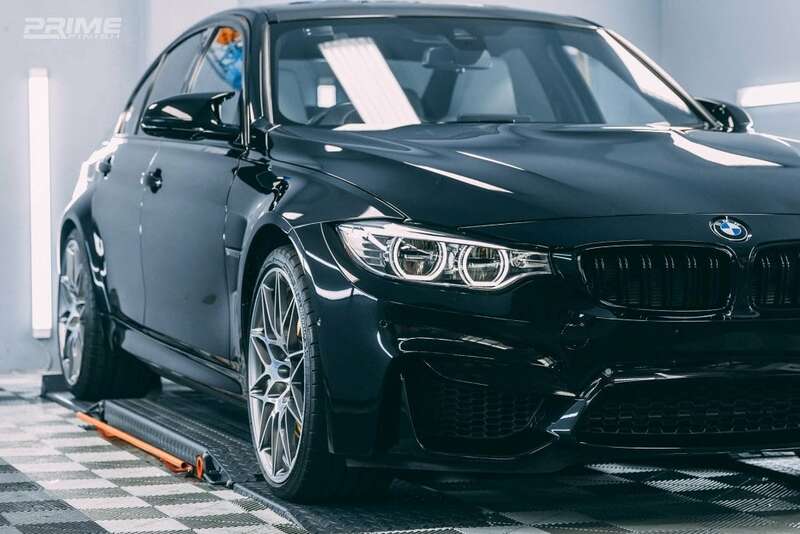 https://www.primefinish.com.au/wp/wp-content/uploads/2018/01/FI1A8413.jpg 1440 2160 primefin https://www.primefinish.com.au/wp/wp-content/uploads/2017/11/logo_bk.png primefin2019-03-29 19:28:122019-03-30 21:10:11How to properly maintain a ceramic coated car?